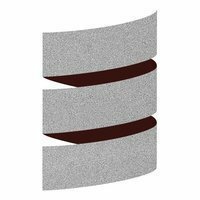 Scala Native is a new ahead-of-time compiler and lightweight managed runtime designed specifically for Scala. Project is currently in pre-release stage. Why do developers choose PHP? Why do you like PHP? 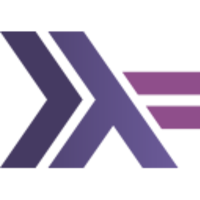 Why do developers choose Haskell? Why do you like Haskell? Why do developers choose Scala Native? Why do you like Scala Native? What are the cons of using PHP? What are the cons of using Haskell? What are the cons of using Scala Native? What companies use Scala Native? What tools integrate with PHP? What tools integrate with Haskell? What tools integrate with Scala Native? What are some alternatives to PHP, Haskell, and Scala Native? Python - Python is a clear and powerful object-oriented programming language, comparable to Perl, Ruby, Scheme, or Java. Rants about PHP are everywhere, but during the last years the language and the whole ecosystem has evolved. The lastest versions support namespaces, closures, traits, generators and with composer a dependency manager that changed the way PHP developers work and collaborate. Use the ipwhois.io IP lookup API to quickly and simply integrate IP geolocation into your script or website. Save yourself the hassle of setting up local GeoIP libraries and having to remember to regularly update the data. We use PHP as our main backend preprocessor. Being a well established language, it is supported by a large community as well as a dedicated team of developers. It is used for much heavier projects that do not require realtime processes as well as being used in a hybrid system alongside NodeJS. PHP has been the backbone of what we've done at Visualsoft for years. We have lots of experienced people who have used it and know how to get the best out of it. It's come on leaps and bounds over recent years, and is the basis of pretty much everything we'll build with. The reason being they are simple to learn and easy to implement apps on any size. The learning curve for PHP and MySQL is less compared to MEAN. It’s advisable to learn PHP and MySQL if you want to have a taste of web-development or you are in a hurry. Our internal deployment tool, called Mordor, is written in Haskell. Still experimental work for multikernel OS.